That said, getting a kid to sit down and write a bunch of formal thank you cards is going to be a challenge. Also, you donâ€™t want to bore the snot out of your little ones. They may never want to write a thank you again. Youâ€™ve got to allow them to express their creativity and provide a little guidance too. When Should Kids Send Thank You Notes? The most common occasion is after a birthday party. Birthdays are a great time to teach children about showing gratitude since everything is focused around themselves. Here are some birthday thank you note examples if youâ€™re in need of some guidance. I would also encourage my kids to send thank you notes for gifts received after Christmas that were not opened in front of the giver. When kids send thank you notes, there is no need for them to be store bought cards. This isnâ€™t a wedding where you need nice card stock and ribbons. Instead, encourage them to have fun showing their creativity while expressing their gratitude. Explain the purpose of a thank you note. Provide enough pieces of paper. Give them enough some art supplies. If youâ€™re not confident in having your kid go crazy with the craft drawer for two hours, you might want a more organized approach. Printable coloring cards are a great option for kids thank you notes. All you have to do is give them a new print out every time they feel like coloring. Within a couple days, all the cards will magically be done. But, donâ€™t limit yourself! You can turn any page out of a coloring book into a thank you card with a digital camera or a copy machine. If your child has never written a thank you card before, using a template can can help to teach the basics of how to write a thank you note. Also, they are simple to create. However, donâ€™t use a template if your child is old enough to know how to do it on their own. Fill-in-the-blank cards are just for beginners. 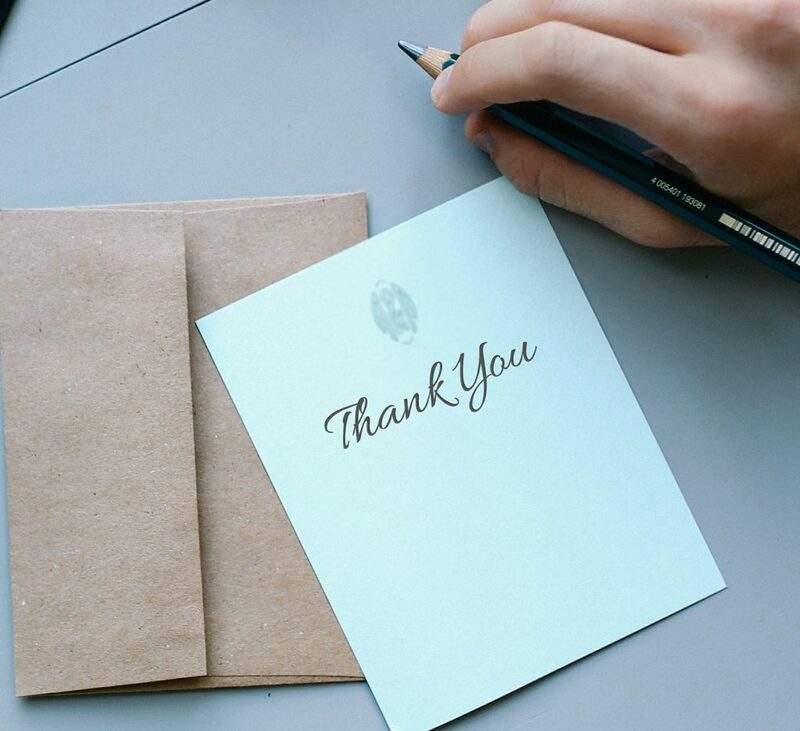 Using a photo as a thank you card can be a good idea, but only under certain circumstances. Adults love a cute photo, but most kids would probably rather receive a drawing. Also, you should encourage your kid to write individual thank you notes on each photo thank you card, as opposed to sending them out without a personalized message. There are plenty of online services that will help you turn a photo into a thank you card, but, they arenâ€™t necessary. You could just order regular prints and mail them as post cards. These are just a few examples of the many creative thank you card ideas that are out there. Let us know your most creative card ideas for kids in the comments below.